Previously artistes like Bhuvan Bam, Neeti Mohan and Sonu Nigam have featured on Royal Stag Barrel Select MTV Unplugged. From Stree's chartbusters 'Kamariya' and 'Nazar Na Lag Jaaye', to 'Afeemi', Sachin-Jigar enthralled audiences this week on MTV Unplugged S8. The eccentric music and lyrics of Stree distract you well enough for you to miss out on a lone lurking figure, that waits for you to turn around as you sway to the inviting beats. 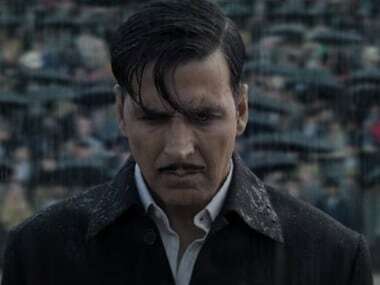 Gold has three gems to boast of: the enigmatic theme of 'Khel Khel Mein', Pandit Vishwa Mohan Bhatt's slide guitars and Tanishk Bagchi's jazz throwback. 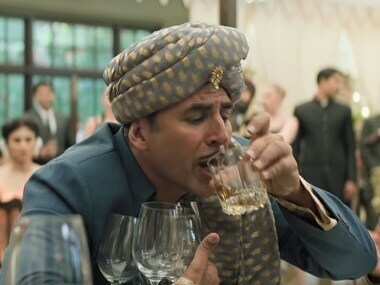 The latest song 'Chad Gayi Hai' from the OST of Gold shows a comical situation when Akshay's character Tapan Das gets drunk at a celebration party during the 1948 Olympics. Composer duo Sachin-Jigar explain how to create background music and why it is so important in Bollywood films in this Film Companion video. 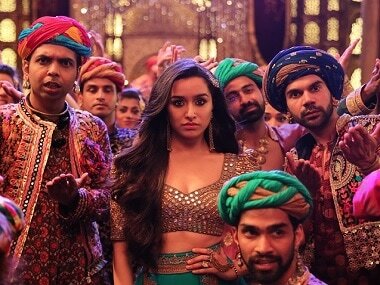 Bhoomi's new song 'Kho Diya' composed by Sachin-Jigar is a soulful number that will definitely make your heart yearn for more. Simran stars Kangana Ranaut, Mark Justice, Sohum Shah, Esha Tewari Pande and Aneesha Joshi. Sukhwinder Singh injects just the right amount of emotion required for the understated display by Sanjay Dutt and Aditi Rao Hydari.